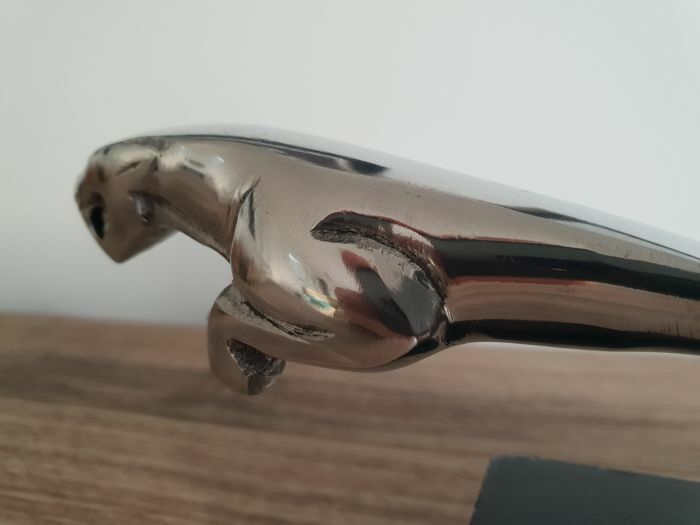 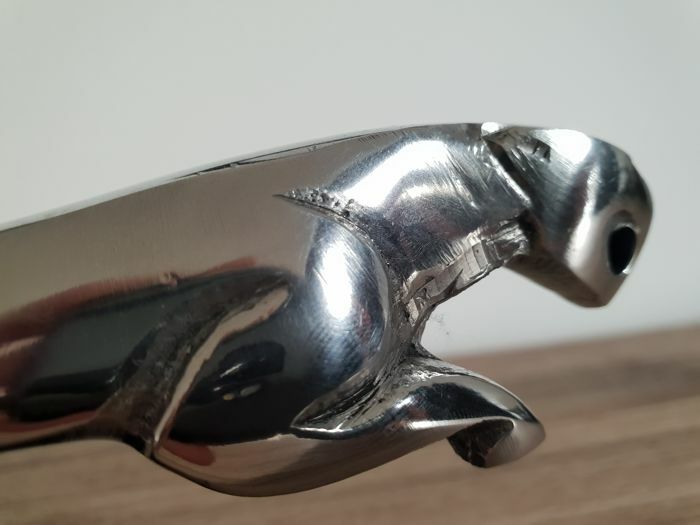 Large polished Jaguar-style car mascot on a black base. 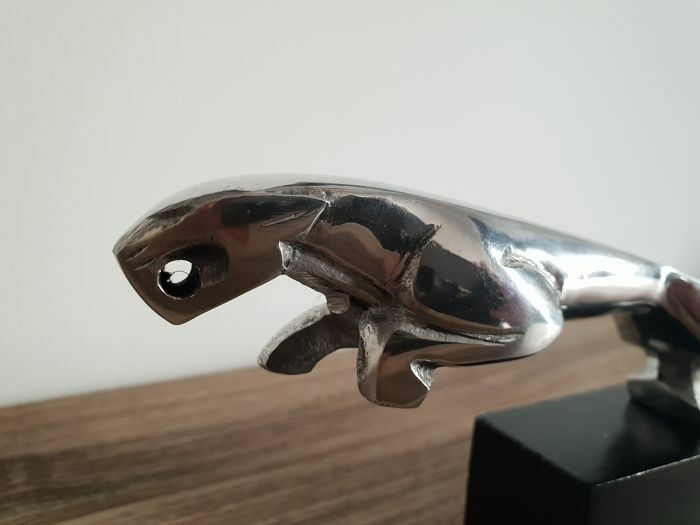 This polished Jaguar stands on a black block in full flight movement for sale. 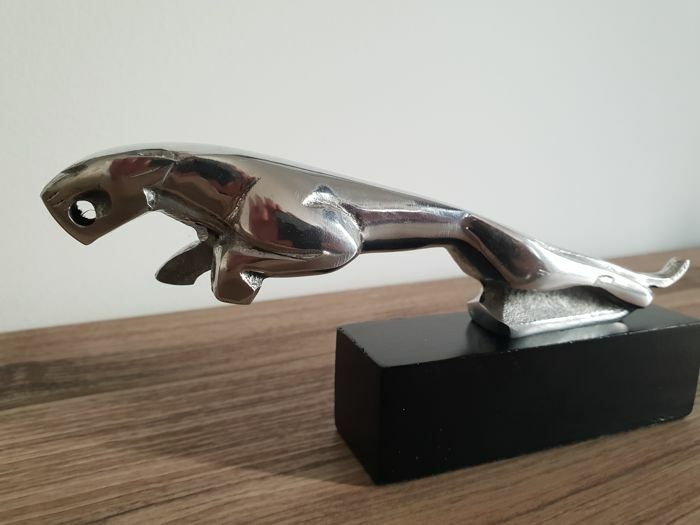 Would be a wonderful gift or even for decoration on a desk. 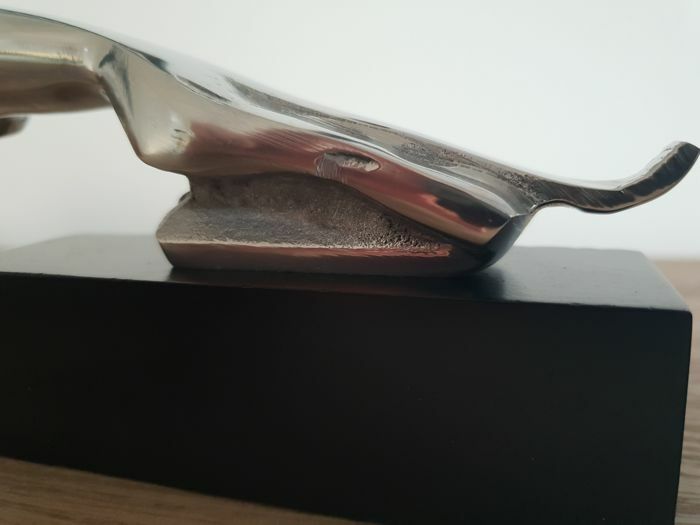 length 18 cm x 4 cm wide!